Many individuals with Down syndrome acquire multiple doctors and specialists. While it is common for several doctors to be involved in prescribing medications for one individual, they may not be communicating with one another at all. It is important to be proactive with management of the medication list, making sure that both prescriptions and over-the-counter drugs, along with their doses and frequencies, are up to date. As a general rule, it is advisable to start new medications at a low dose and slowly increase them if necessary. Be sure to understand why a medication is being recommended and inquire about side effects. Avoid making multiple medication changes at once or starting or adjusting two medications at the same time. Changing or adding one thing at a time allows for a clearer picture of the impact of the medication on its own. All medications, including over-the-counter and herbal medications, should be periodically reviewed, especially with the primary care doctor at times of transition (leaving the hospital, transferring to a new living situation, etc.). During reviews of the medication list, it makes sense to re-examine the efficacy of each medication. Do the benefits of each medication outweigh the risks of negative side effects? Is there room to simplify, or is each medication necessary? It is also important to think about medications whenever a new mood, behavior or physical symptom arises. Was a new prescription just started, a dose changed or a medication discontinued? The purpose of this section is to review general principles to keep in mind with regard to medication. It is beyond the scope and purpose of this document to discuss specific medications or treatments. 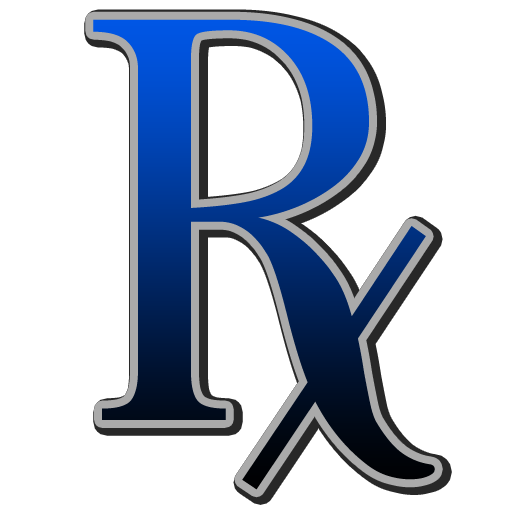 Please be sure to review any specific medication questions with your physician. Health care guidelines help define the standards of quality care for individuals with Down syndrome. In addition to specific recommendations for screening tests, they include information about the kinds of medical conditions that individuals with Down syndrome are at risk for and suggestions for early intervention, diet and exercise and other issues across the lifespan. Specialized health care guidelines for individuals with Down syndrome help define potential health care needs for parents so they can better communicate with their primary-care physician. The American Academy of Pediatrics has developed specialized health care information for families of children with Down syndrome that spans the prenatal period through age 21. Based on the 1999 Down Syndrome Health Care Guidelines for Individuals with Down Syndrome as published in Down Syndrome Quarterly (Volume 4, Number 3, September, 1999, pp. 1-16). Attention deficit hyperactivity disorder, or ADHD, is a commonly diagnosed childhood problem. However, ADHD-like symptoms are more common in young children with Down syndrome compared to children from the general population. Alzheimer’s disease and Down syndrome share a genetic connection, leading to the increased risk of dementia at an earlier age. Understandably, many families and caregivers are especially worried about this possibility, which is one reason why this topic is covered in detail in this section. Getting accurate information and education about the risk of Alzheimer’s disease is an important way of empowering oneself to prepare for the future. Complications of anesthesia (sedation during surgery) occur in all patient populations, but are more likely to occur in individuals with Down syndrome than their peers without. Individuals with Down syndrome are at an increased risk of atlantoaxial instability, a serious disorder that could result in spinal cord damage. Individuals with Down syndrome frequently show abnormalities in the blood cells for various reasons. Dental care is important for everybody, but people with Down syndrome can have a number of differences that can require special attention. Autism spectrum disorder occurs more frequently in individuals with Down syndrome than in the general population. Ear, nose, and throat problems are common in children with Down syndrome. 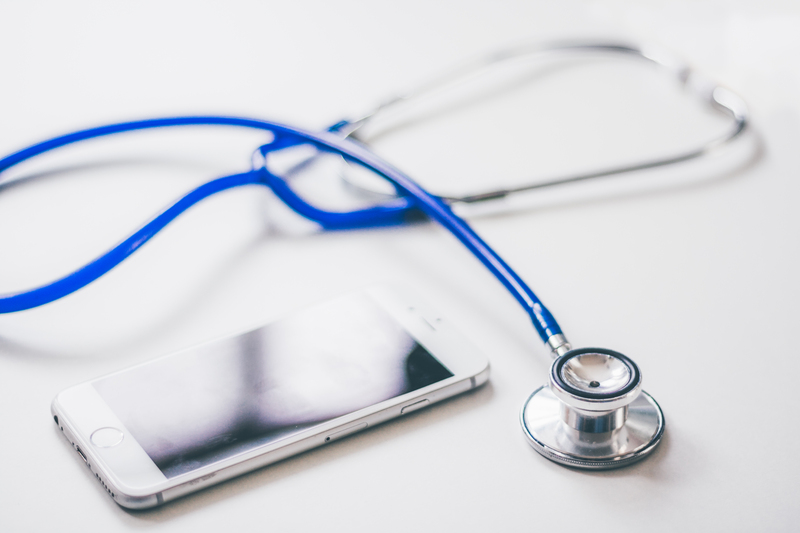 It is important for primary care physicians and caregivers to be aware of these problems, most of which are present throughout an individual’s life. Individuals with Down syndrome have a higher incidence of endocrine problems than the general population. The endocrine system refers to a set of glands that include the thyroid, adrenal and pituitary glands. Beginning in the newborn period, people with Down syndrome have an increased likelihood of developing medical conditions that interrupt or interfere with this digestion. 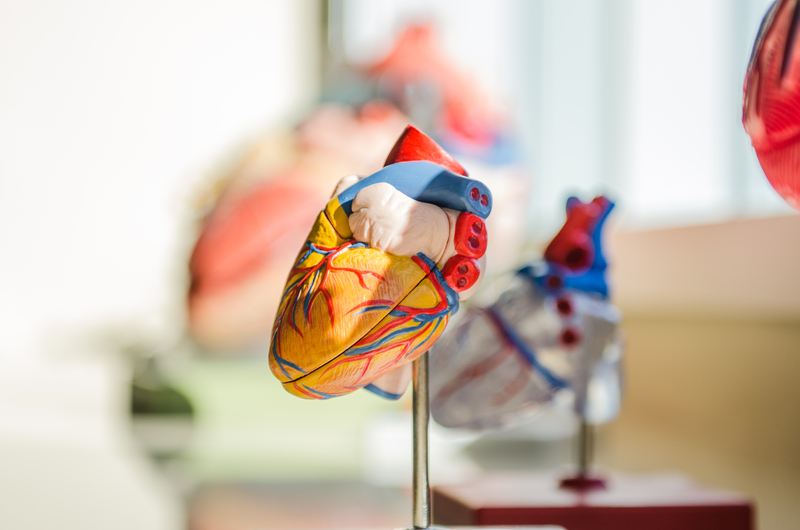 Abnormalities of the cardiovascular system are common in Down syndrome, as approximately half of all infants born with Down syndrome have a heart defect. At least half of all children and adults with Down syndrome face a major mental health concern during their life span. Studies show that half to all people with Down syndrome have obstructive sleep apnea. This can contribute a number of potentially serious health concerns. Down syndrome has effects on the developing eye, which could impact the proper development of vision. 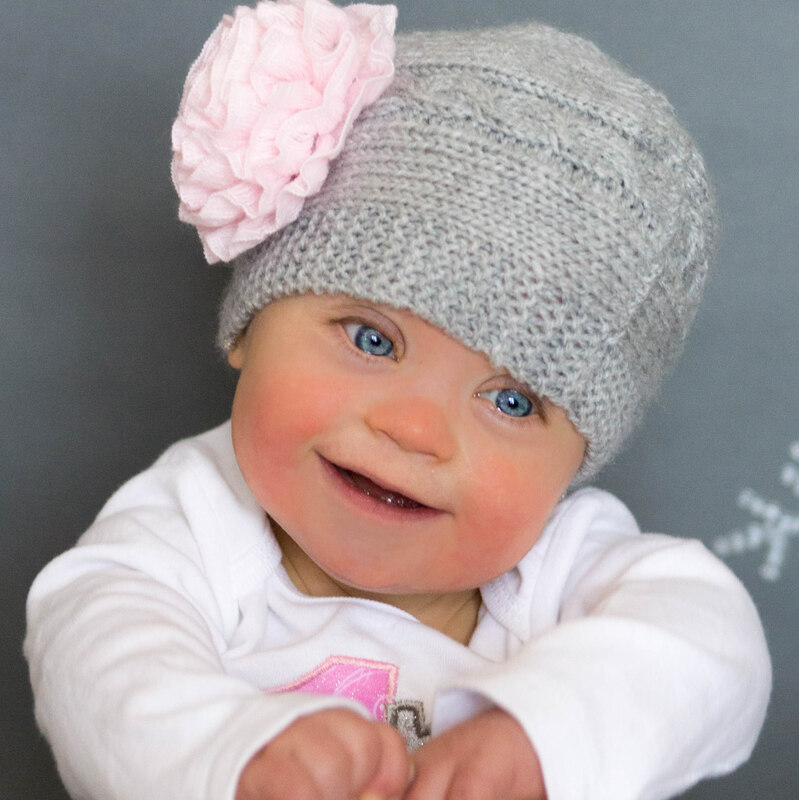 One of the main questions on the minds of many new and expectant parents is, “Will my baby be healthy?” It is important to note that many babies with Down syndrome are born without any health problems. However, it is true that newborns with Down syndrome are at a higher risk for certain complications. While your baby may not have any of these potential complications, it is important to be aware of them so you can catch them early if they do occur. This section discusses possible health concerns and useful tools for monitoring your child’s health care and growth patterns. It also provides information on how to select a pediatrician, questions to think about when making decisions about potential treatments, and a discussion of feeding options. What Health Conditions Are Associated with Down Syndrome? Newborns with Down syndrome are at a higher risk for congenital heart defects, hearing and vision loss, respiratory problems, obstructed digestive tracts, childhood leukemia, and other health conditions. They also have an increased susceptibility to infection. Doctors routinely screen for these conditions because some, such as a heart defect, may be present even if no symptoms are readily apparent. While the list of possible health problems can be frightening, keep in mind that your baby will not necessarily have all, or possibly any, of them. If he or she does happen to have one or more of these complications, advances in medicine have rendered most conditions treatable. For instance, the majority of heart conditions can be corrected through surgery. You can ensure your newborn’s optimal development through informed health care. There is a tremendous amount of information available, so it is important not to let yourself get overwhelmed. Learn at your own pace, and try to focus on those things you can do in the present to get your baby off to a good start. A good tool to use is the Health Care Guidelines for Individuals with Down Syndrome (see NDSS Resources below). What Should I Look For In a Pediatrician? For optimal health care, it makes sense to locate a developmental pediatrician or a specialist knowledgeable about Down syndrome if any are available in your area. However, keep in mind that it is not always necessary to find an expert on Down syndrome. The most important thing when you have a baby with special health care needs is to find a doctor who is willing to learn about the condition and collaborate with you to ensure the best possible care for your child. One of the best ways to find a pediatrician is to ask families of other children with Down syndrome in your area for recommendations. Your local parent support groups can be a good source of referrals. As a parent, you have a right to interview potential physicians to find the best one for you. Find someone you feel comfortable with and with whom you can communicate freely. Also, do not be intimidated when speaking to physicians. A good doctor recognizes that parents are experts when it comes to their children. He or she respects their concerns and sees them as partners. Should I Breastfeed or Bottlefeed My Baby with Down Syndrome? You may be aware of the tremendous benefits that breastfeeding provides to newborns. Breastmilk contains natural antibodies that fortify babies’ immune systems. This is especially important to infants with Down syndrome, who have higher rates of respiratory and other infections. Breastmilk can also reduce bowel problems, which are more common in babies with Down syndrome, and contains an ingredient known to promote brain growth and development. In addition, the physical process of breastfeeding strengthens babies’ jaw and facial muscles, which helps lay a good foundation for speech and language development, and provides skin-to-skin contact, a form of sensory stimulation that creates neural connections that can facilitate future learning. There are many great reasons to breastfeed, but whether or not to do so is a personal choice. Some mothers breastfeed exclusively while others bottlefeed. Still others combine the two. There are many factors that play into this decision, including whether or not you feel your body is producing enough milk, whether or not your baby has health complications, and whether or not you plan to return to work soon after delivery. If you do plan to breastfeed, be aware of certain factors that might make it challenging. Babies with Down syndrome have low muscle tone, so it may be difficult for your baby to “latch on” to your breast at first. As these babies also tend to be sleepier than other infants, you will likely have to make an extra effort to raise your baby’s alertness and keep him or her awake throughout the entire feeding. Also, if your baby needs surgery, he or she may require a feeding tube for a short time. Don’t worry, though. 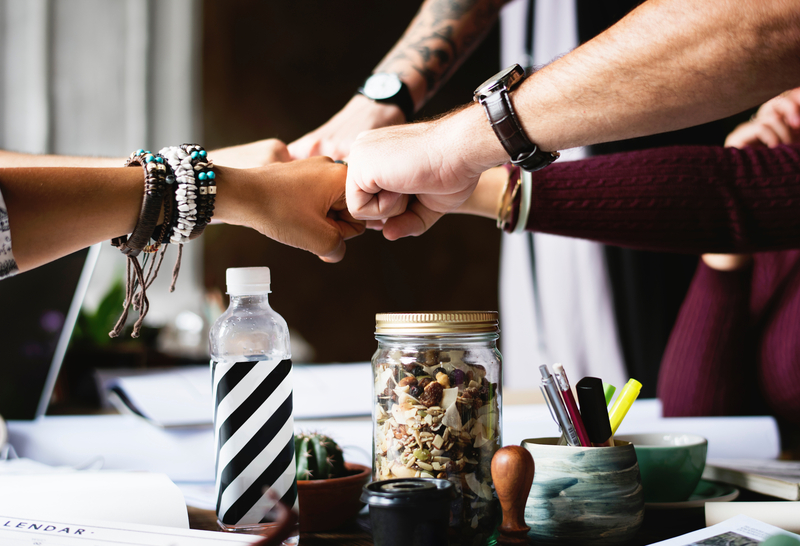 There are many organizations and individuals that can help you get started and provide tips for overcoming these and any other challenges you may encounter. These same specialists can help you learn how to pump, store and transport your breastmilk or how to select the right baby formula to meet your infant’s needs if you choose to bottlefeed. When it comes to feeding, the important thing is to make the choice that is best for you. Feedings should provide quality time for a parent and child to bond, so they should always be as comfortable and stress-free as possible for both individuals. A meeting with your hospital’s lactation specialist is a great place to start learning about what feeding option may be right for you. An Evening with William I. Cohen, M.D. This brochure published by the Canadian Down Syndrome Society provides detailed information for parents about breastfeeding infants with Down syndrome. Down Syndrome: The First 18 Months. Blueberry Shoes Productions. 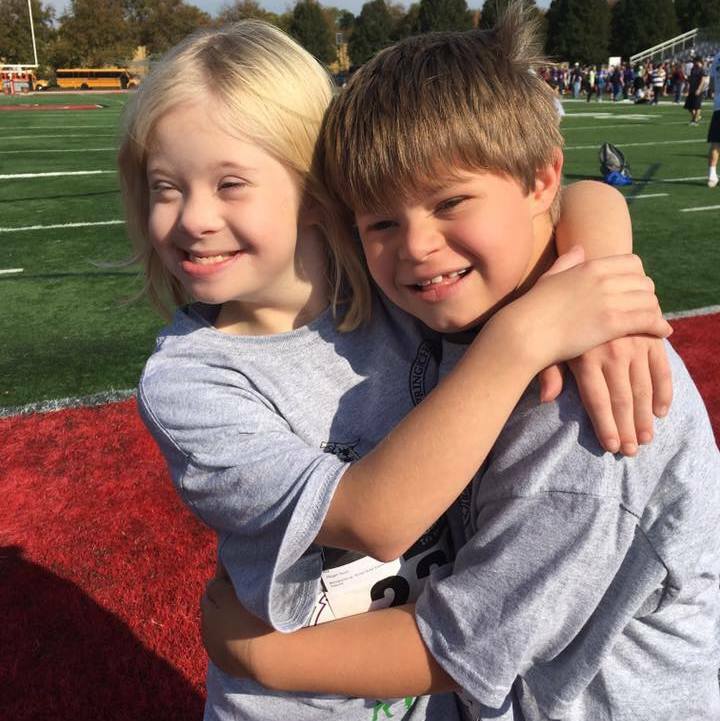 Kids with Down Syndrome: Staying Healthy and Making Friends. Blueberry Shoes Productions. Written especially for new parents, this book addresses the medical, emotional, educational and social issues related to Down syndrome. There are two types of tests for Down syndrome that can be performed before your baby is born: screening tests and diagnostic tests. Prenatal screenings estimate the chance of the fetus having Down syndrome. These tests do not tell you for sure whether your fetus has Down syndrome; they only provide a probability. Diagnostic tests, on the other hand, can provide a definitive diagnosis with almost 100% accuracy. These blood tests are often performed in conjunction with a detailed sonogram (ultrasound) to check for physical features that are associated with Down syndrome in the fetus. Recently, researchers have developed a maternal serum/ultrasound/age combination that can yield a much higher accuracy rate at an earlier stage in the pregnancy. Even with the ultrasound, however, the screen will not definitively diagnose Down syndrome. In recent years, noninvasive prenatal screening tests have been made available. These tests involve blood being taken from the expectant mother as early as 10 weeks of gestation. It relies on the detection of cell-free DNA that circulates between the fetus and the expectant mother. According to the latest research, this blood test can detect up to 98.6% of fetuses with trisomy 21. A “positive” result on the test means that there is a 98.6% chance that the fetus has trisomy 21; a “negative” result on the test means that there is a 99.8% chance that the fetus does not have trisomy 21. The turn around time for the test is about 8-10 days, and approximately 0.8% of the time, results are not obtained from the tests due to technical standards. While the initial clinical trials were conducted just on cases with trisomy 21, one form of Down syndrome, a “positive” result cannot distinguish between trisomy 21, translocation Down syndrome and high-percentage mosaic Down syndrome. Put another way, a “positive” result will pick up all forms of Down syndrome, except mosaic Down syndrome that is 33% or lower. All mothers who receive a “positive” result on this test are encouraged to confirm the diagnosis with one of the diagnostic procedures described below. Prenatal screening tests are now routinely offered to women of all ages. If the chance of having a child with Down syndrome appears high during prenatal screening, doctors will often advise a mother to undergo diagnostic testing. The diagnostic procedures available for prenatal diagnosis of Down syndrome are chorionic villus sampling (CVS) and amniocentesis. These procedures, which carry up to a 1% risk of causing a spontaneous termination (miscarriage), are nearly 100% accurate in diagnosing Down syndrome. Amniocentesis is usually performed in the second trimester between 15 and 22 weeks of gestation, CVS in the first trimester between 9 and 14 weeks. Amniocentesis and CVS are also able to distinguish between these genetic types of Down syndrome: trisomy 21, translocation Down syndrome, and mosaic Down syndrome. Why Should I Get a Prenatal Test? Some mothers choose to forgo all diagnostic testing because they know that they would continue their pregnancy no matter what and do not want to expose their pregnancy to even the small risk of miscarriage that come with CVS and amniocentesis. Some start with a prenatal screen and then proceed to a definitive diagnostic test. Other mothers simply bypass the prenatal screen and start with a definitive diagnostic test. Whether or not to undergo a prenatal screening or diagnostic test is a personal decision, and expectant parents must make the choice that is best for them. ADVANCED AWARENESS: Some parents would like to know as soon as possible if their fetus has Down syndrome so that they could make preparations (like informing other family members and doing research on Down syndrome) prior to the birth. Families who have chosen this option have reported in research studies that the birth of their child with Down syndrome is as much of a celebratory process as any other birth because they have had time to adjust to the new diagnosis. TERMINATION: Some parents want to have a prenatal diagnosis so that they can discontinue their pregnancy. Parents should discuss this option with their obstetrician. One of the best ways to begin to consider these choices is to speak to family members of individuals with Down syndrome through a local Down syndrome organization. In addition, there are many books and articles written by family members about their personal experiences. A message from families that is echoed again and again is that the positive impacts of having a member with Down syndrome far outweigh any difficulties or challenges that may come up. If you have any questions about these procedures, do not hesitate to ask your doctor. It is important that you receive accurate information and understand all your options. Since many expectant parents choose to forgo prenatal tests, most cases of Down syndrome are diagnosed after the baby is born. Doctors will usually suspect Down syndrome if certain physical characteristics are present. Not all babies with Down syndrome have all these characteristics, and many of these features can be found, to some extent, in individuals who do not have the condition. Therefore, doctors must perform a special test called a karyotype before making a definitive diagnosis. To obtain a karyotype, doctors draw a blood sample to examine your baby’s cells. They photograph the chromosomes and then group them by size, number and shape. By examining the karyotype, they can determine accurately whether or not your baby has Down syndrome. Congratulations on the birth, or expected birth, of your baby! You probably have many questions, concerns and fears right now. That’s okay. The most important thing to keep in mind is that a Down syndrome diagnosis is not as “life changing” as the fact that you have a new baby. And in most ways, your baby will be just like other infants. Every baby needs to be fed, held and most of all, loved. There will be challenges in raising your child, but there will also be many joys. It’s normal to be nervous about what lies ahead, but remember that Down syndrome is a condition your baby has, it is not who your baby is. Now is the time to begin learning all you can about Down syndrome and this section is a great place to start. If you would like to speak with someone from a local parent group in your area, search the NDSS Affiliate Map to find the group nearest you. To speak with an Information & Referral Specialist at the National Down Syndrome Society, call 800-221-4602 (Monday – Friday from 9:00 AM to 5:00 PM ET) or email info@ndss.org. Download the NDSS new parent packet, A Promising Future Together: A Guide for New and Expectant Parents and Un Futuro Prometedor Juntos: Una Guía Para Padres Primerizos y Futuros Padres. You can order a complimentary copy of this publication in English or Spanish by calling 800-221-4602 or emailing info@ndss.org. Brighter Tomorrows is a web-based resource on receiving a diagnosis of Down syndrome prenatally or at birth. This site provides answers to questions that families and prospective parents may have at this critical moment in their lives. In both English and Spanish. Down Syndrome Pregnancy is an online resource for expectant parents that provides information and support to expectant parents preparing for the birth of a baby with Down syndrome. Congratulations Project is an initiative in which members of the PALS family write letters to new members of the Down syndrome community. These letters are designed to inspire, encourage, welcome and, most importantly, congratulate new parents and siblings of a child with Down syndrome. At each PALS Program, participants are invited to write letters sharing about their lives. Counselors and siblings are also invited to share their perspective, and letters are paired and dispersed as packages.